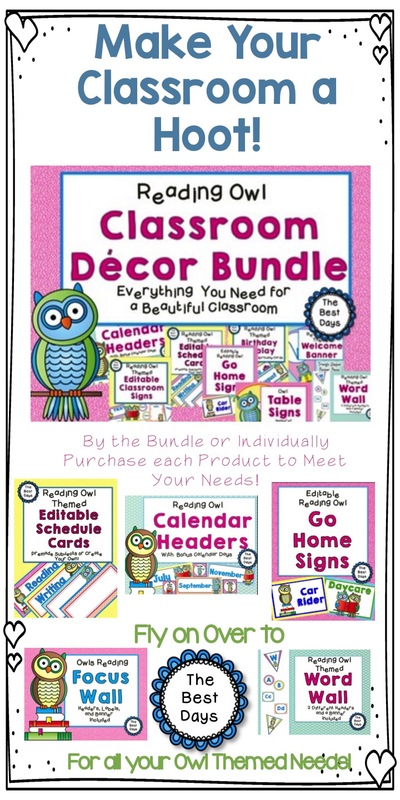 The Best of Teacher Entrepreneurs III: Make Your Classroom a HOOT!! Does your classroom need to grow some new feathers? Why not add some awesome owls AND books to it! These lovely pastel colored backgrounds create a spring fresh feeling in your room! 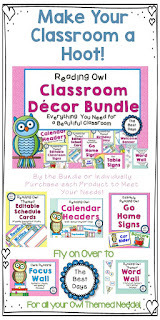 The owls are beautifully colored and make your classroom come alive with fun! Be sure to also check out all of my themes at The Best Days! While you are there, click the GREEN STAR and follow me! You can also find me on Facebook! Fly on over and check out my blog too!